Baby Boomers are likely to be the last generation that will care, commit to, or fight over denominational labels. 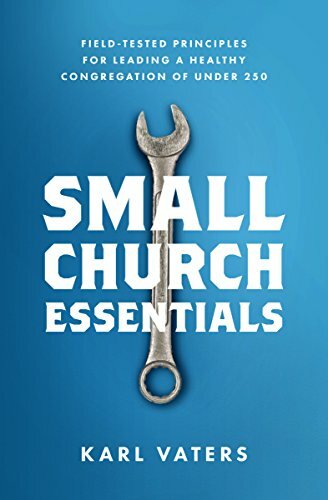 Plus, as I’ve pointed out in Small Church Essentials, bigger churches have a lot more in common with each other than small churches do, so they have a greater ability to lean on each other through conferences and informal networks. But many small churches still depend on denominational support. A lot of them wouldn’t be able to survive without funds, programs, curriculum and other help from their denominational structure. So, even as most denominations downsize, there’s still a place for their structures, fellowship, accountability and financial support for a lot of struggling smaller congregations. 3. Non-denominational churches are starting to discover some of the problems of independence. Big churches may not be as dependent on denominational support as their small church counterparts, but flying alone has hazards – as many of them are coming to realize – especially when there’s a scandal, a tragedy or a pastoral transition.